A popular vacation spot, Westhampton, NY features beaches, campgrounds, and parks, making it a destination everyone should visit. The beach houses available for rent have a wide variety of prices, so cost is not an issue in Westhampton 11978. Unfortunately power outages have been an issue due to the weather related problems in New York the last few years. Because the town has had to deal with the power loss problem, PowerPro Generators Inc. has generators for sale Westhampton. For more information for home generators please give us a call at 631-567-2700. 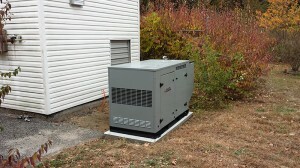 PowerPro sells industrial generators in Westhampton, NY as well. Westhampton, NY residents can have their own contractors perform the installation for them. PowerPro does recommend that if homeowners choose to do this that they ask the contractor if he has experience with these types of generator installations in Westhampton, NY and with the particular brand that is being installed. The top Kohler generator and GENERAC generator seller in Westhampton, PowerPro is authorized to sell, install, and repair of all of these generator brands in Westhampton, NY. In order to keep up with the typical maintenance that generators need, such as annual filter and oil changes, PowerPro has Preventative Maintenance plans to keep our Westhampton, NY 11978 customers’ equipment running and preventing them from experiencing power outages. Learn more about generator repair Westhampton by calling us at 631-567-2700.